This is a week of celebration. 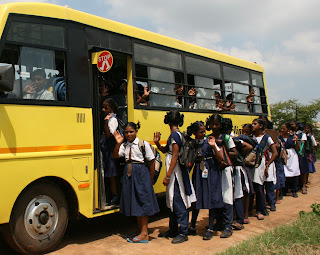 Tuesday morning was the first time for a bus ride to school for the children in Kakinada, India. “The happiness of the children is so much that I cannot explain it in words. Today is the day of miracle for the school children because of this new gift of the bus,” said Paparao Yeluchuri- Children’s Hope India partner. As you know, these students are from the slums and impoverished fishing villages along the Bay of Bengal in eastern India. Without the free schools Paparao runs for the Kakinada area poor, these children would be wandering the streets or working as child laborers. Today, the effort to get the children to school was made easier by this brand new school bus you helped purchase. The long walk from the villages to school will no longer be an issue during the torrential rains of the monsoon season. purchasing their two required school uniforms, books and supplies. 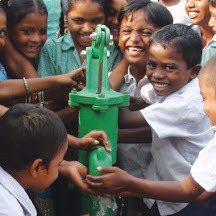 These children would have extreme difficulties affording school without your help. For Habtom, 34, this is a day he again can feel proud. Along with his son, he is standing in front of his new shop where he sells candy, soda, fruit drinks and various household products. 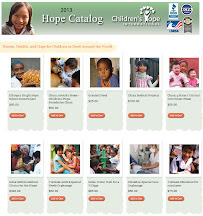 Children's Hope was able to loan Habtom the money he needed to purchase the container store and his inventory so he could again provide for his family. After fleeing the war in their home country of Eritrea, Habtom's family was living in abject poverty in northern Ethiopia. Employment opportunities were nonexistent for Habtom and his wife, because both are blind. He owned a retail shop back in Eritrea but did not have the resources to purchase a shop in Ethiopia. But now, he has his shop and a new start. Singing "Beautiful One" in the attached video are kids who over the past ten years have been rescued from the streets of Delhi. The second soloist in the video is 15-year-old Ranjita. The photo on the right is from when she was found wandering the streets alone back in 2001. It is an amazing transformation. Children's Hope's friend from the Good News Centre visited St. Louis yesterday and shared about their work with orphans in India.